Last Saturday was the textbook definition of a glorious day on the Lake Apopka Wildlife Drive (LAWD). I met my friend Michael and we spent the morning looking for birds. Apparently, all the birds heard that the drive has re-opened, and they all flocked out to greet the returning photographers. It was an incredible morning. 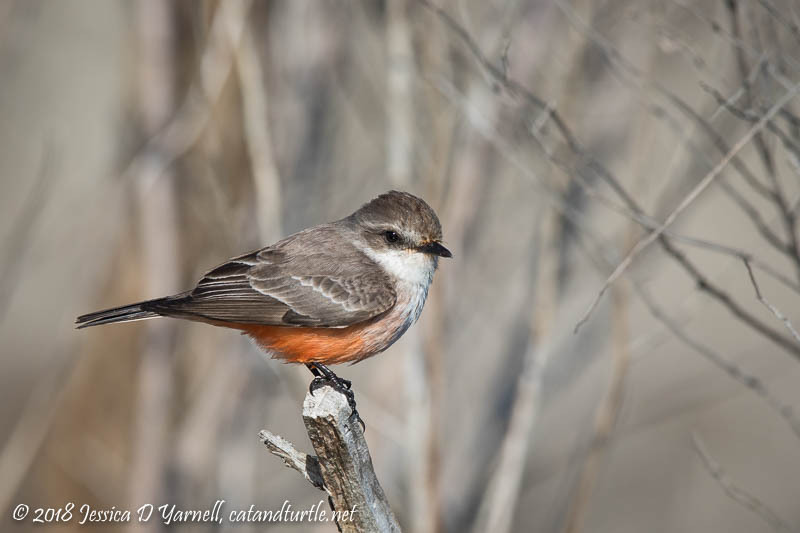 From all the little birds at the Lust Gate entrance, to the close encounter with the Vermilion Flycatcher at the Crazy U, to the rare ducks along Welland…it took me about six hours to make it all the way through the drive, and I left with a card full of images and a huge smile on my face! Next we headed to the field by the water treatment ponds to look for sparrows. 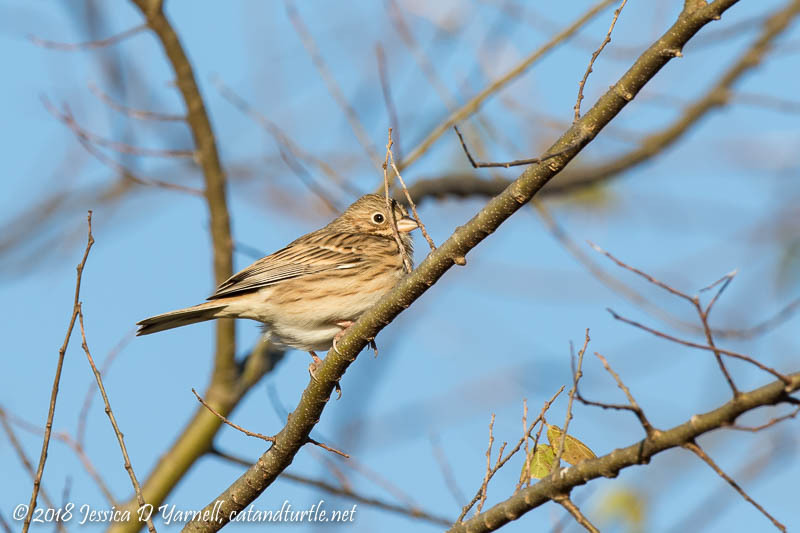 Michael was on a quest for his lifer Vesper Sparrow. 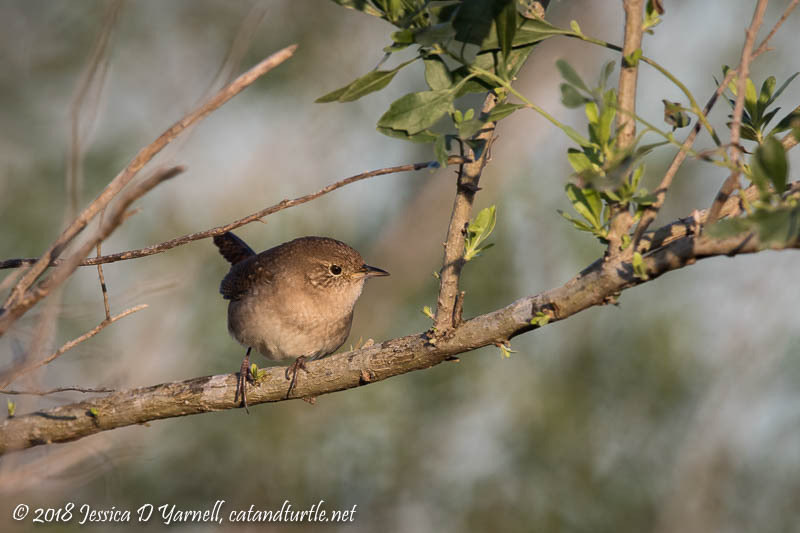 At first we stood talking, watching for the signs of little birds flitting from bush to bush. Then it got really active, and we found not just the Vesper Sparrow, but a bunch of fun other birds who popped up to say good morning. 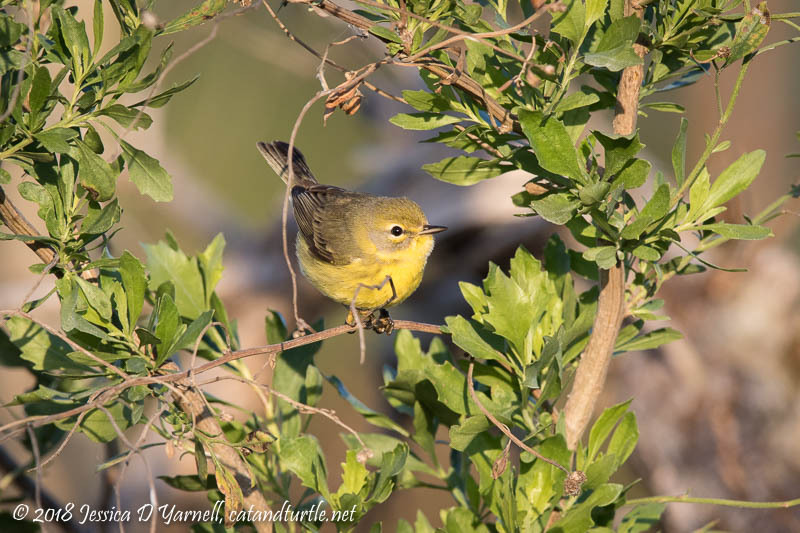 It was fun to see the Prairie Warbler. 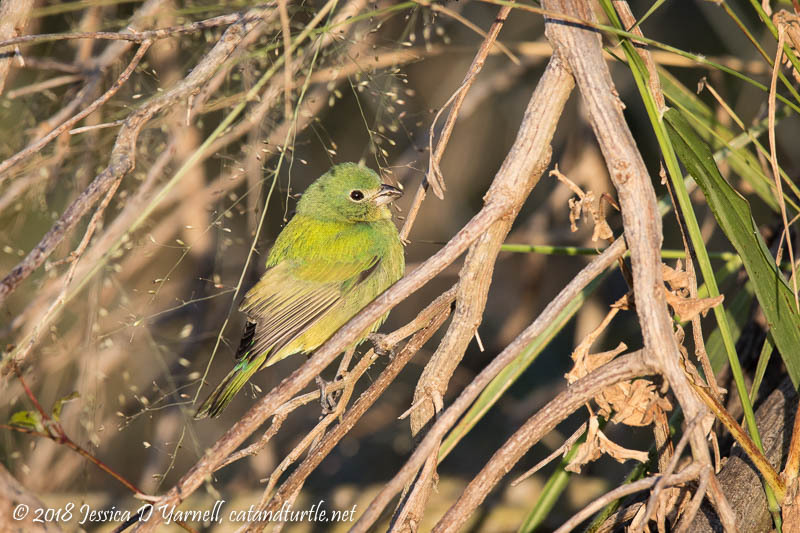 Although the Prairie Warbler winters in Florida, I don’t get to photograph them very often. 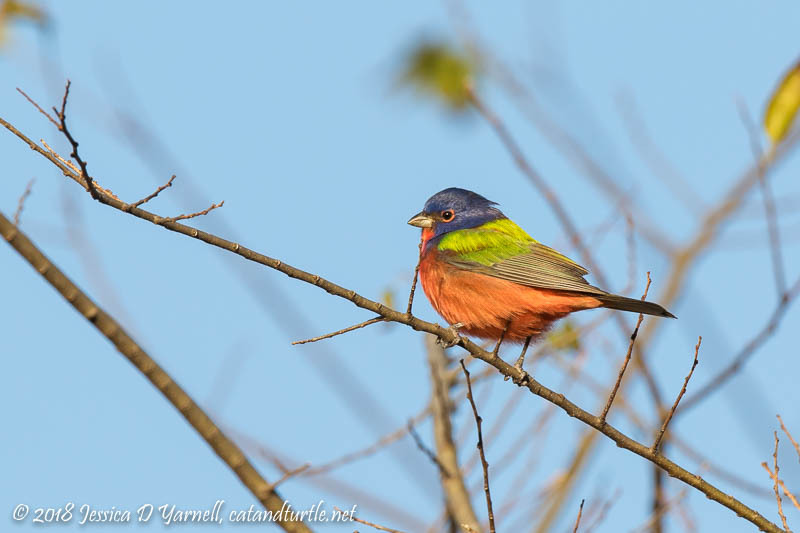 But my favorites overall were definitely the Painted Buntings. The sun glistened on the greenie’s feathers making them shine almost blue. 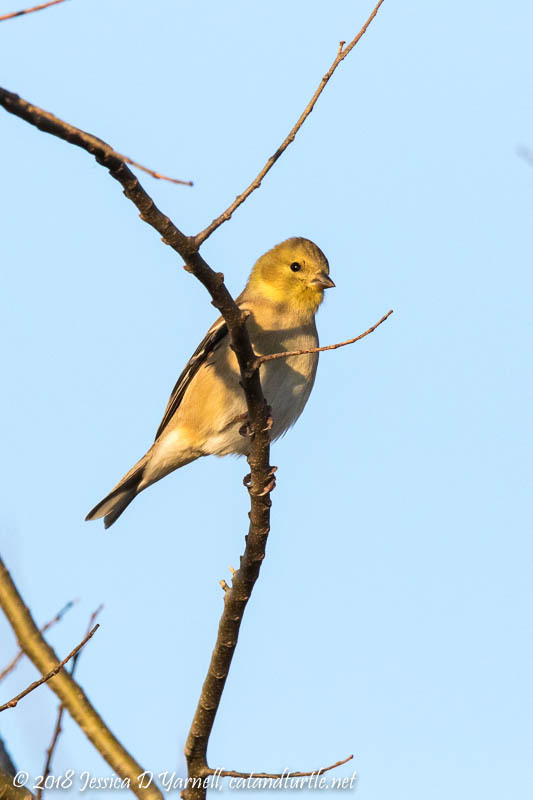 Then as the icing on the cake, a male bunting flew in and posed for a few seconds. 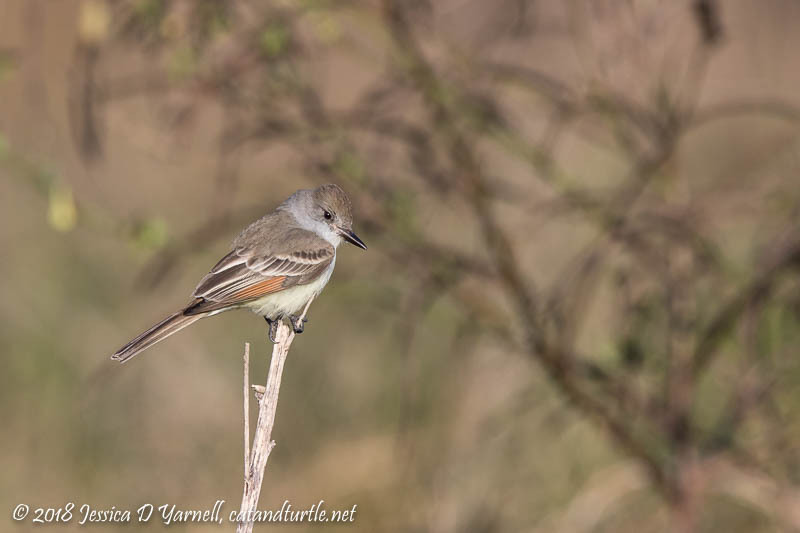 As we were driving off, we spotted the Ash-throated Flycatcher flying along the opposite side of the canal. 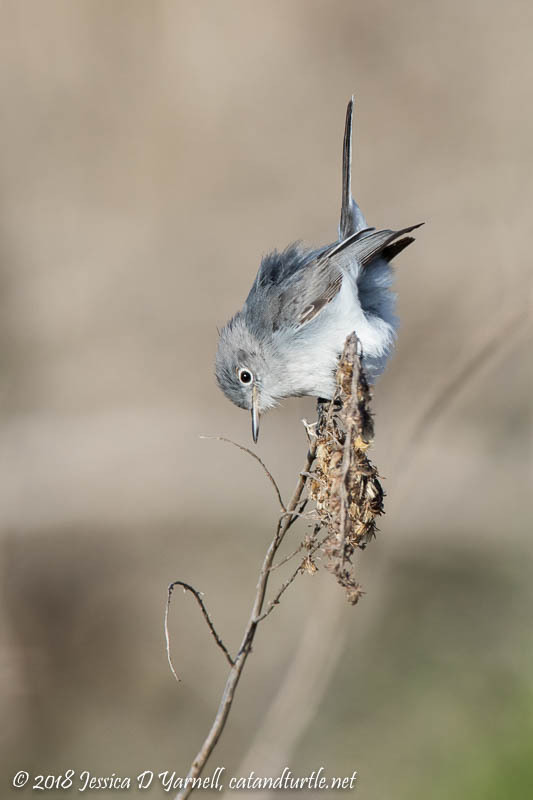 He flew was in fly-catching mode, flitting from perch to perch as he searched for his breakfast bugs. After chasing him back past the entrance gate, we finally got a few photos. 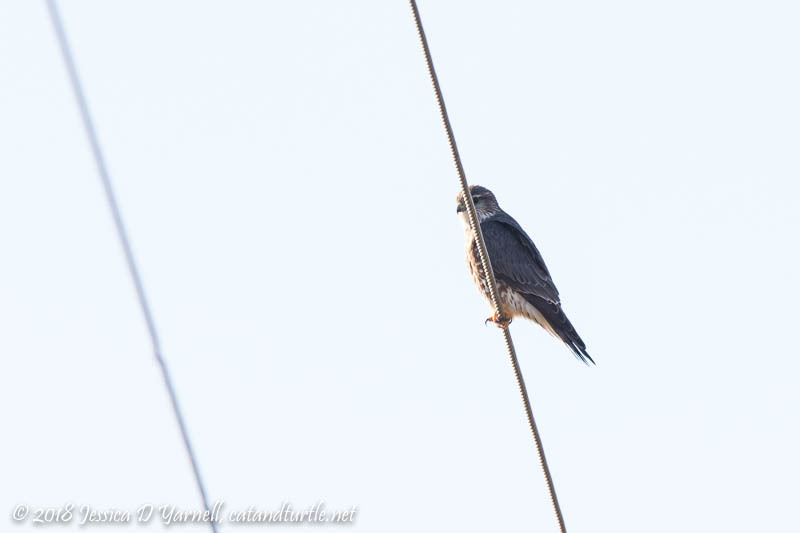 Then a Merlin flew in and posed on the power line behind us. It was a cold morning to begin with, and the breeze kicked up as stood and watched for the Vermilion. Other birders came and went. My feet started to get numb from the cold. But we stayed and waited. Then finally, Michael spotted her just in front of us! Such a pretty bird. She doesn’t have the bright red “wow” factor of her male counterpart, but she’s very striking with her red tummy. She came so close that I had trouble focusing on her! We watched her flit from branch to branch for a minute or two, then she headed back to her far-off spot. Michael and I had the biggest grins on our faces. Who cared about numb feet? We got to see the Vermilion! 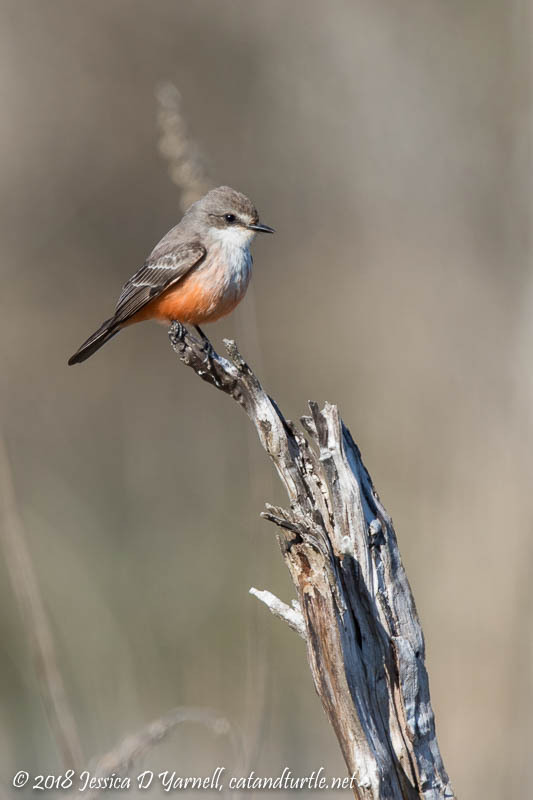 It was already pretty late in the morning when we said goodbye to the Vermilion Flycatcher. I didn’t linger much on the rest of the drive. But there’s always something great to see. 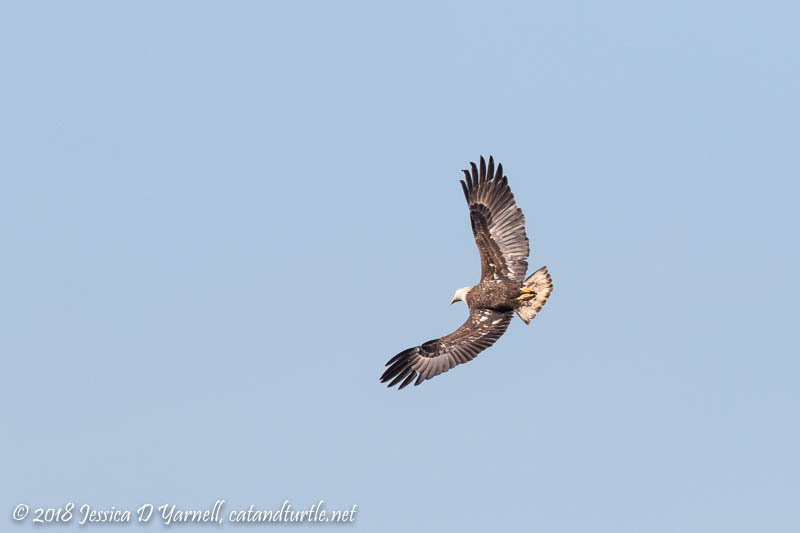 Like this Bald Eagle, who was dive-bombing an Osprey who happened to have a fish. Why should an eagle catch a fish himself when he can steal it from an Osprey? 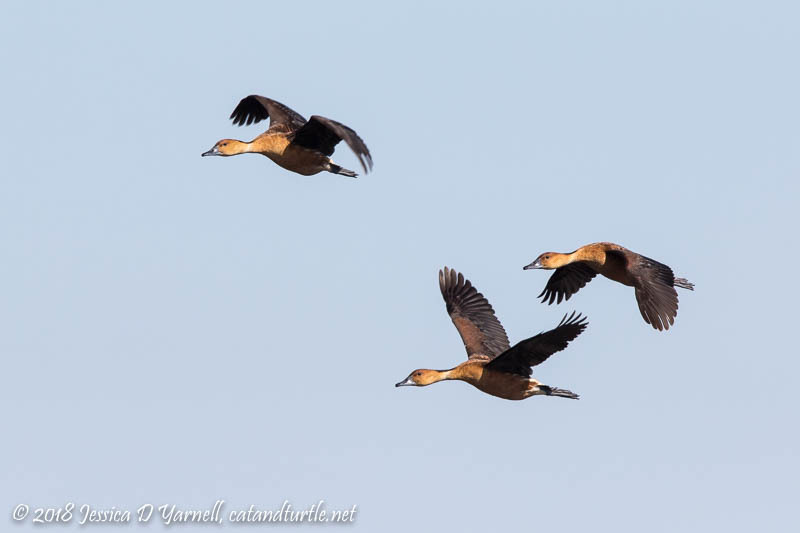 As I approached the pump house, a huge flock of Fulvous Whistling-Ducks suddenly took flight. I don’t know what spooked them (perhaps a peregrine? or another eagle?). I’ve never seem them in such numbers. There must have been at least two hundred birds in the air at once. They flew restlessly over the marsh while I tried to find a spot to pull over and park. Then I got to watch small groups of ducks fly overhead for a few minutes. I found a Horned Grebe at the intersection of Welland Road and Roach Road. 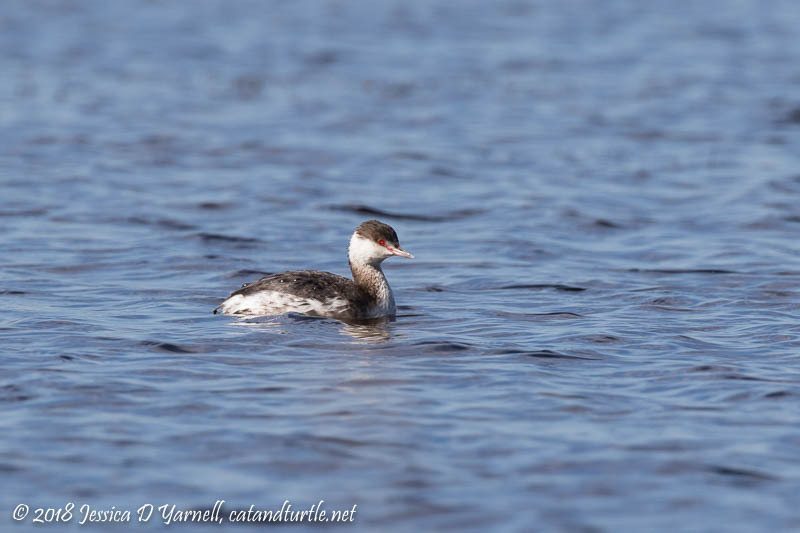 It was the first time I’d seen a Horned Grebe at Lake Apopka before. The bird was far out but you can’t miss that bright red eye. Maybe this bird will stick around and let us watch the molt into breeding colors. Their breeding colors are really neat. 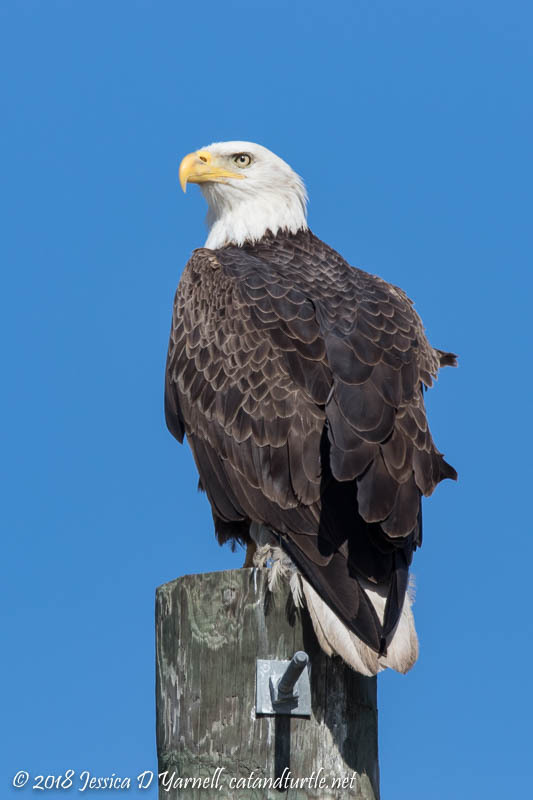 Finally on my way out I spotted this Bald Eagle on a telephone pole. Not the best perch but still a magnificent bird. What a fun end to a fantastic morning! As always, thanks for the gorgeous pictures. I’ve been meaning to go back to LAWD but my husband is never up for it so I live vicariously through your blog posts. 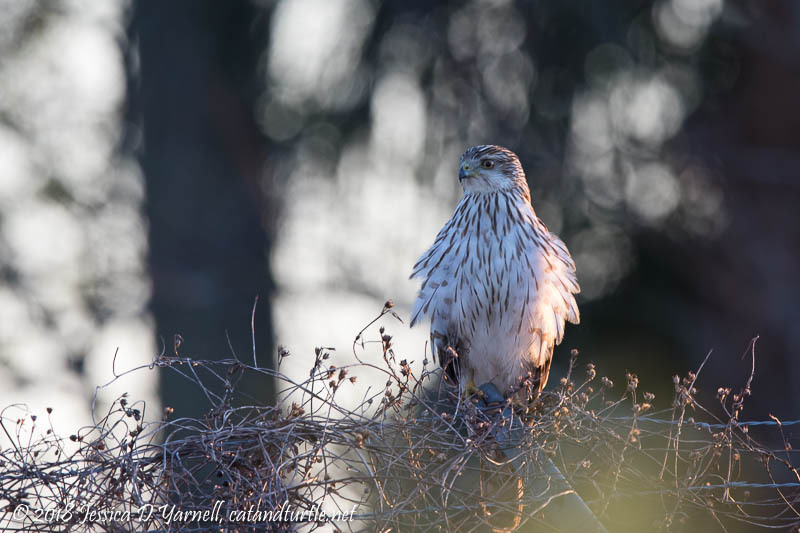 Plus, you capture many more birds than my poor vision is ever able to enable me to see when I go there! What a trip you had. So many great shots. I need to get there soon. A great morning indeed. We had a lot of fun. (If this works, I like the heading of your first paragraph: “Lust Gate”. Sounds like a political bombshell! !